Norfolk | Davenport & Co. 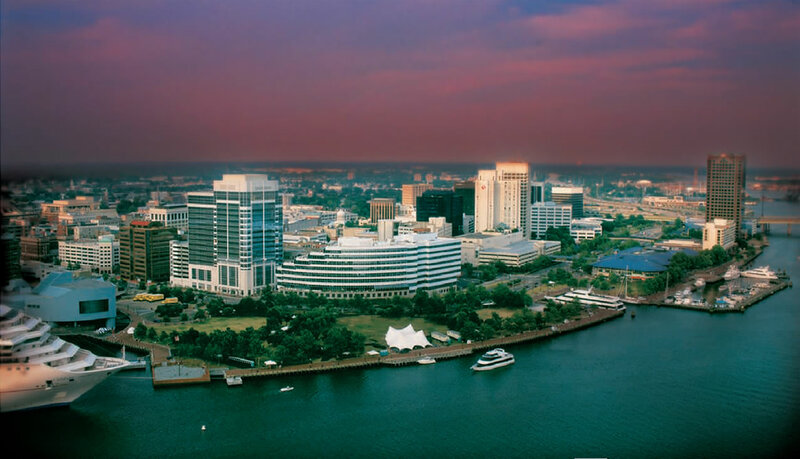 The Norfolk Branch opened in 1998 in the World Trade Center which overlooks the Southern Branch of the Elizabeth River near the entrance to the East Coast Inland Waterway. Our community is home to Fortune 500 companies such as Norfolk & Southern Corporation and Dollar Tree, among others. Perhaps Norfolk’s greatest asset as a city is the Port of Virginia “Stewards of Tomorrow” – the 5th largest port in the United States. We strongly believe in giving back to our community. We are involved a variety of city programs including Rotary Clubs, Children’s Hospital of the Kings Daughters (CHKD) including the Buddy Brigade, The Circle, V.P. Membership, Foundation Board of the CHKD, Junior Achievement, Alzheimer’s Association, local Athletic Associations, Hooked on Fishing Not Drugs, Old Dominion University, Local Sports Clubs, and Business Consortium for the Arts, to name a few.